Italian Verona is a beautiful destination that greatly combines modern pace of life and at the same time allows you to feel the magic of the ancient art. 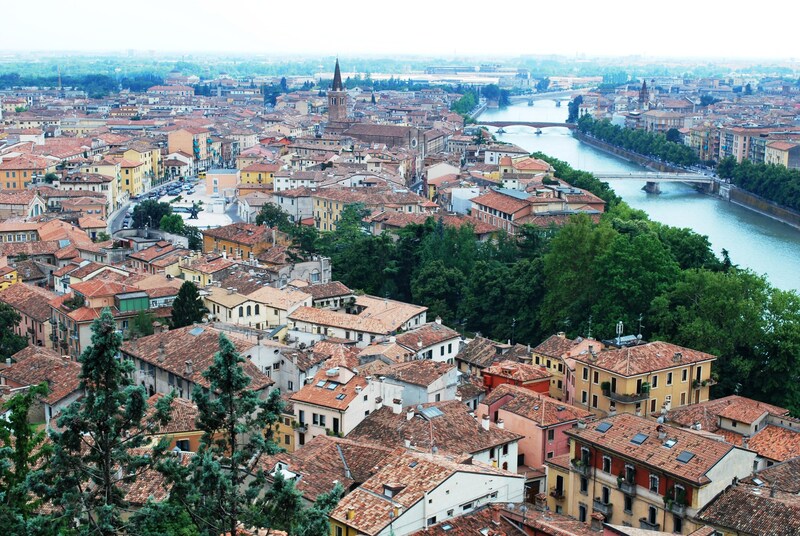 Lots of people also associate Verona with love and romanticism. But did you know that Verona is one of the less-known Italian fashion centers providing great shopping opportunities for its visitors? 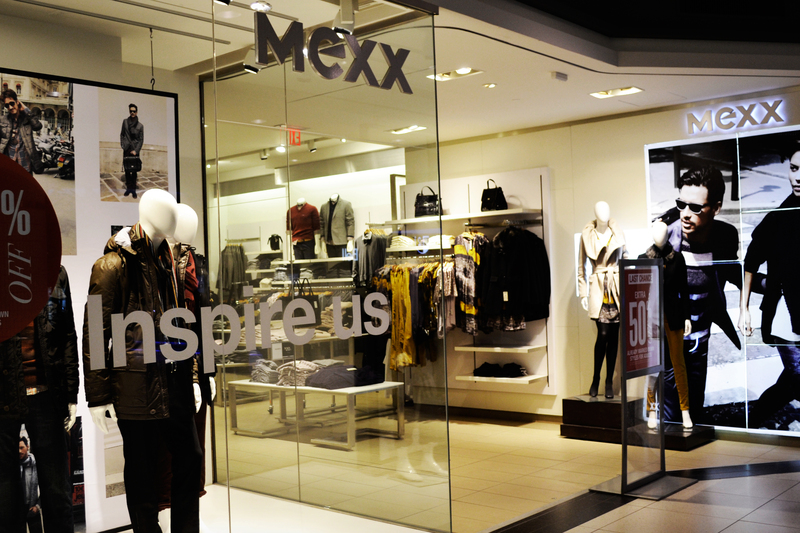 In its boutiques you can find both exclusive models of clothes and mass brands. The choice is so huge that it may seem for a moment that you’re in Milan. In short, shopping in Verona can really be a true pleasure, and you can get convinced of it if you visit the places mentioned below. Of course, it’s impossible to find outlets right in Verona, so the closest shopping center – Franciacorta Outlet Village – is located in 1 hour’s drive from the city. Franciacorta Outlet Village is like the center of shopping. It includes more than 165 shops selling toys, accessories, housewares, shoes and clothing for the whole family. The infrastructure is very rich there: you’ll find a children’s playground with babysitting service, a plenty of restaurants, bars and many more other entertainments. It’s recommended to spend at least 1 day in Franciacorta to fully enjoy your shopping. Among the brands presented in this outlet are McKenzy, Boggi, Stefanel, Coveri, Twin Set, Benetton, Sisley, Enrico Fornarina, Guess, Motivi, and other mid-priced names. By the way, outlet shopping in Verona is quite a budget solution: discounts can reach 30-40%, and during the seasonal sales you’ll be able to save additionally up to 70%! Via Guiseppe Mazzini is one of the major Verona’s shopping destinations where you’ll find the boutiques mainly of the worldwide recognizable designer’s brands. So, if you’re searching for such clothing “names” as MAX & Co, Max Mara, Gucci, Dolce & Gabbana, Diesel, Montblanc, Pandora, Louis Vuitton, and have the corresponding budget, you’re in the right place. However, more democratic brands are also presented there: Zara, Intimissimi, Promod and Bershka are among them. By the way, if you shop with your kids, it’s recommended to visit the Disney Store. 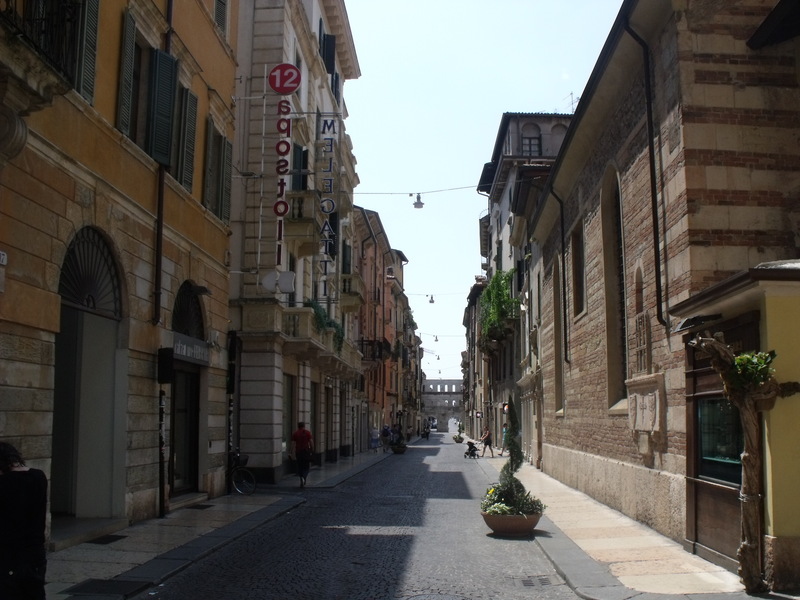 The second popular Verona’s shopping street is Via Cappello, which is located near the House of Juliet. It offers a variety of such clothing shops as Emporio Armani, Modart Fashion Store, MAX & Co, Bottega Verde, Douglas, and many others. In addition, there are also numerous souvenir shops and “Coin” shopping center on Via Capello. One more shopping center is concentrated on Corso Porta Borsari. 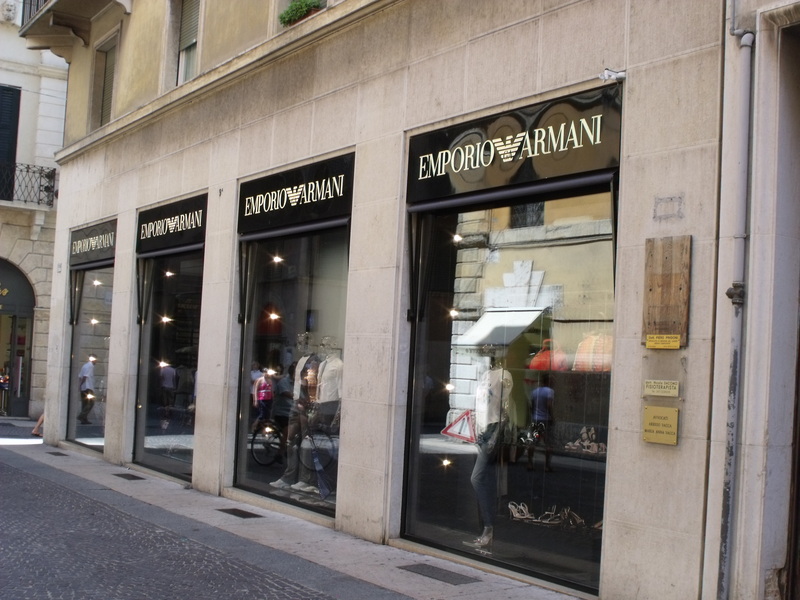 This is a home for nice boutiques and shops selling high-quality classic clothing predominantly of Italian designers. It’s also possible to find there some interesting accessories from such brands as Stone Island, Tapparini Silvano, Elisabetta Franchi, Gioielleria Benetti, Etro and DG. And the last worthy place to shop in Verona is Via Pelliccial Street. If you’re not “hunting” for the renowned brands, but nevertheless, expect to get high-quality clothes, the boutiques on this street are exactly what you need. They offer clothes of the little-known Italian designers, and their prices are always very affordable. There are 2 large shopping malls in the suburbs of Verona: Grand’Affi Shopping Center and La Grande Mela. Grand’Affi Shopping Center is a huge hypermarket with more than 40 boutiques. Located not far from Garda Lake, it offers stylish clothes, shoes and leather goods, souvenirs, handicrafts and household appliances of the world-famous brands at very good price. Grand’Affi is home for such clothing brands as Redstone, Motivi, Kontatto, Esprit, Conbipel, Carrera, Belmonte and Desigual. There are also several flower shops and a grocery. The shopping center is located 200 meters away from A22 Brennero-Modena highway. La Grande Mela is a modern three-storey shopping center including over 120 shops. Being an ideal shopping spot, this is also a great place to have fun or relax with your friends or family. On the first two floors of the La Grande Mela you’ll find lots of shops of the world-known fashion brands: Benetton, Gaudi, Intimissimi, Penny Black, Sisley, Stefanel, Centro and Caprisa are among them. On the third floor there’s an entertainment center featuring a children’s room, Eldorado playroom, the Grand Canyon Disco Bowling, billiards, a lovely cafe, as well as the Space Cinema – the first Italian multiplex cinema where you can enjoy the newest films in 3D format. Well, you see that Verona is not only the home place of Romeo and Juliet, but also an excellent destination to shop in. Being in Verona, try to visit all of the above mentioned shopping spots, because each of them offers something special. Of course, it’s recommended to use a rental car to shop with comfort.